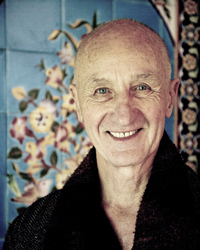 Roger Housden is the author of twenty three books on poetry, art, and travel as pilgrimage. His work includes the best-selling Ten Poems to Change Your Life series. He uses writing as a teaching tool for personal exploration and reflection, and runs regular courses in the Bay Area. His work has been featured frequently in The New York Times, The Los Angeles Times, and Oprah Magazine. His latest book, Dropping the Struggle: Seven Ways To Love the Life You Have was published by New World Library in September 2016. Full details of his courses and work are at www.rogerhousden.com.